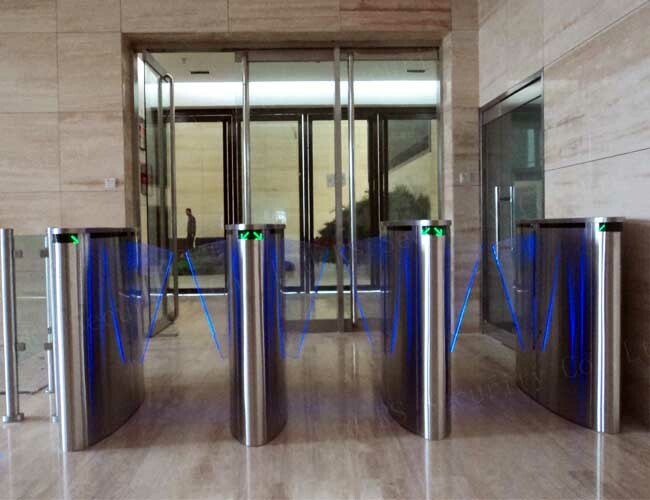 The Access Control Flap Barrier is designed for rapid pedestrian entrance and exits to and from train stations, corporate receptions, immigration facilities, sports stadium, factory workshop,etc.. 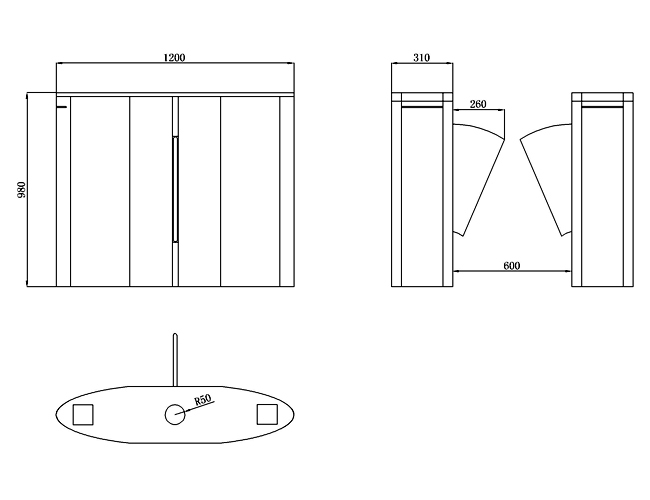 The flap Barrier is compatible with all types of access control systems. The barrier can be operated in Bi-directional mode. The flap barrier can also do ODM & OEM. We can meet you brand and customization service. 1. It has a clear and definite indicating function for the passenger, and it is displayed directly and visually on LED with passing or barring indication for passenger. 2. The entire system runs smoothly, with a low noise and free of mechanical impact. 3. Control of the tripod is achieved usually by an electro-mechanism mounted within the top section of the flap barrier and accessible by open the top cover. Only mechanical control is also available. 4. It has failure self-detect and alarm indication function, facilitating maintenance and application for the users. 5. A positive action lock/anti-tailgating function which prevents two passages at one time. 6. The flap barrier is provided with a standard electric interface and is easily integrated into a system with write/read facilities such as magnetic card, bar code card, ID card, IC card or biometric device. 7. Two or one direction can be controlled by switch-button and Access Controller. 8. It is provided with multiple operation modes for selection. It can either read card in double way for flow limit, or reading card in a way while barring in the other, or read card in a way while free passage in the other. Moreover, the operation mode of flap barrier may be set up with the software. 9. The mechanism is locked until a valid open signal is received. 10. The wing of the flap barrier can drop down automatically when the power is off. When the power is on again, the arms can also close automatically. Fail-safe or fail-lock functions: The mechanism will lock/unlock the flap barrier flap in one or both directions in case of power failure. Looking for ideal Torniquete Fare Gate Manufacturer & supplier ? We have a wide selection at great prices to help you get creative. 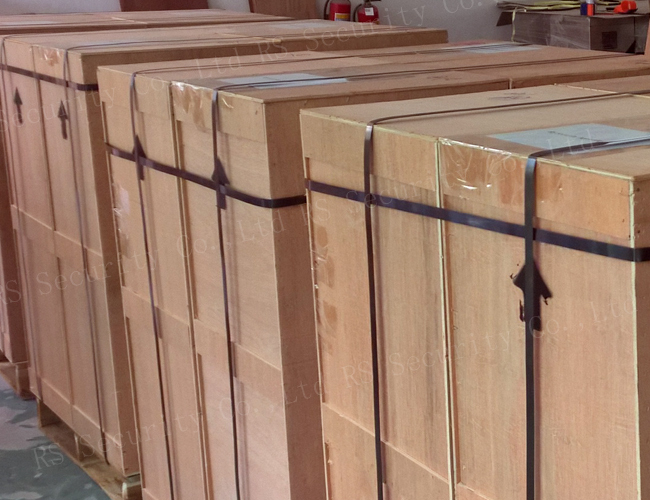 All the Torniquetes Turnstile System are quality guaranteed. 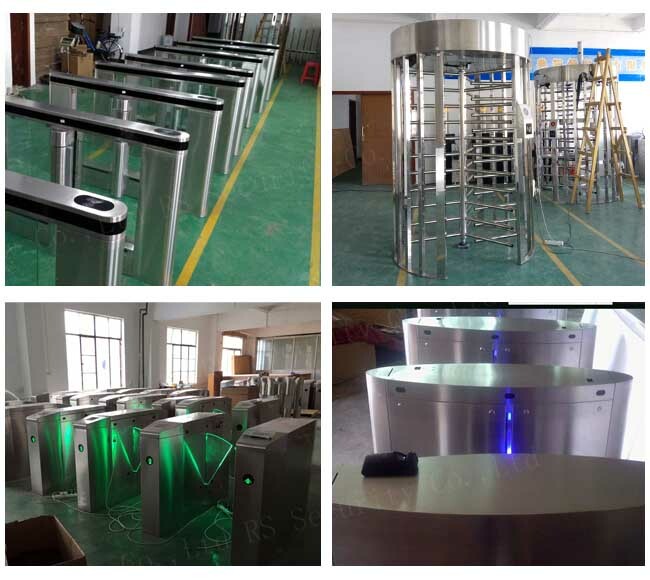 We are China Origin Factory of Torniquete Gate Turnstile. If you have any question, please feel free to contact us.